He commonly acts in complex breach of contract claims, professional negligence actions, sale of goods/supply of services disputes, directors’ duties cases, shareholder disputes and employment or insolvency-related matters. 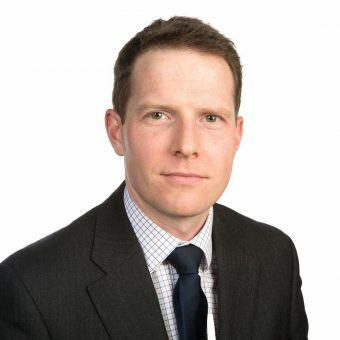 James’ experience is based on work carried out for public and private companies, professional associations, high net worth individuals and insolvency practitioners. He has significant experience of conducting professional negligence claims. Acted for three companies and their liquidator in successfully pursuing claims for conspiracy, dishonest assistance and fraudulent trading against individuals and companies engaged in missing trader intra community fraud. Advised on the appropriate response to threatened injunction proceedings following disciplinary action taken against an executive member of a professional association, leading to a negotiated settlement. Represented an individual director of an AIM-listed company which was seeking to unlawfully expropriate his shares and dismiss him, following his significant contribution to the company’s successful listing. The case settled following one week of a ten day expedited trial, with the company agreeing to a lump sum payment to the client and an agreement that he retain all of his shares, together with payment of his costs. James enjoys playing a variety of sports and spending time with family and friends.